The McCrary Sisters are a gospel music quartet from Nashville, Tennessee. Formed in 2010 by sisters Beverly Ann McCrary, Deborah Dianne McCrary, Regina Avonette McCrary, and Alfreda Antionette McCrary, their father – Reverend Samuel H. “Sam” McCrary – was a founding member of the legendary gospel quartet, The Fairfield Four. 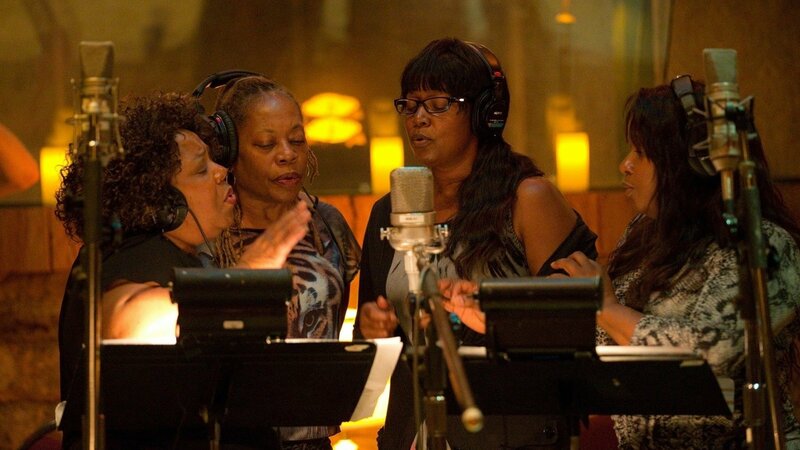 IN addition to releasing their own albums, the McCrary Sisters have sung back up with numerous gospel and secular music performers including Kirk Franklin, Solomon Burke, Sheryl Crow, Dr. John, Bob Dylan, and Stevie Wonder. To really understand where the warmth of the group’s performances comes from, it helps to start in the sisters’ family home. With its carved wood and velvety upholstery, the McCrarys’ living room still contains the furniture their mother picked out decades ago. It has lasted because she kept it covered in plastic, except when guests came over – and some of the most frequent guests were members of their father’s a cappella gospel group, the Fairfield Four. The sisters heard their father, Rev. Sam McCrary, lead countless rehearsals. Deborah McCrary says they were allowed to be in the room on the condition that they sit, watch and be quiet. “But we would take it all in,” she says. “As soon as they’d get up and leave, we’d get up and do what they did.” Mimicking the adults when they were children shaped the way they harmonize today. When their father invited other legendary gospel performers to sing at his Missionary Baptist church, he’d also provide them a place to stay. “During that time, they wasn’t allowing black people to stay in hotels,” explains Regina McCrary. “So that’s when, most of the time, they’d come to town and have to stay at somebody’s house.” That was how the sisters got to know James Cleveland, Shirley Caesar, Dorothy Love Coates and The Staple Singers.